This month, the Small Business Exporters Association (SBEA), the international trade arm of the National Small Business Association (NSBA)recognizes a new member to highlight their exporting experiences, how their business has benefited and been affected by exporting, and their overall trade experiences in the global marketplace. 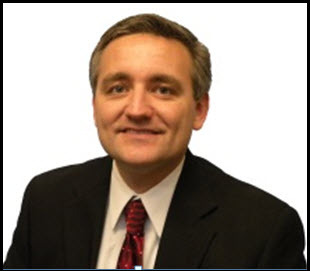 In this month’s newsletter, and on our website, www.SBEA.org, SBEA is presenting Mr. Nathan Muncaster, Global Business Development Director of Polyguard Products, based in Ennis, Texas. Founded in 1953, Polyguard Products specializes in products which protect surfaces and structures from moisture, water, or other undesired substances. Polyguard manufactures specialty pipeline coatings, anti-corrosion products and waterproofing products that are used for engineering and construction, and is present in the oil and gas, HVAC/insulated piping and commercial, highway and residential construction industries. With his career start in the automotive industry, Mr. Muncaster worked successive expatriate positions in Paris, France; Sao Paulo, Brazil and San Luis Potosi, Mexico. Moving on, he spent a period of time in the international freight forwarding industry, based in Hong Kong, China and the New York City area. Mr. Muncaster has been with Polyguard for more than twelve years—having recently returned from a post in Istanbul, Turkey—and for the past ten years with the company he has dedicated himself to exporting their unique products. With the dedication and expertise of Mr. Muncaster, Polyguard’s exports have increased exponentially, now selling in a total of 34 countries worldwide. Polyguard is a 100 percent employee-owned ESOP (Employee Stock Ownership Program) and have experienced 22 consecutive years of sales growth. In 2014, Polyguard was presented with the President’s “E Star” Award by Secretary of Commerce Penny Pritzker in recognition of its noteworthy export promotion efforts. The company also received the President’s “E” Award in 2010, which recognizes individuals, companies, or organizations that contribute to U.S. export trade. SBEA and NSBA are working hard to ensure the voices of small exporters are heard by lawmakers on Capitol Hill and small businesses personal exporting stories can be incredibly impactful. SBEA members who are interested in being featured in a Member Spotlight, please click here to download the questionnaire and send it back to us today. In the meantime, please click here to read this month’s featured spotlight, Mr. Nathan Muncaster. Sonya Kostadinova, Transcon Trading Co.
Raymond Arth, Phoenix Products, Inc.